Humans made it through the survival gauntlet of evolution because of our legendary adaptability. Cold, heat, bad food—we adjusted and kept on ticking. Yet adaptability is a habit that can threaten your survival—and the productivity, decision-making, and bottom line of your organization when it comes to stress. At first, you might feel the churning stomach or the headaches of a stressor overloading coping ability. Then the body gets used to it. The adrenaline set off by the stress response to help you fight or run from danger masks the fact that your body is going down in any number of ways—heart disease, diabetes, irritable bowel. Your team or department also gets used to the stress and adapts to it. The adrenaline set off by the stress response makes you think you are handling it, but it’s an illusion. Stress is eating away at your health, suppressing your immune system, increasing the bad cholesterol, decreasing the good cholesterol and providing a false sense of energy and transcendence. Chronic stress can lead to stroke, depression, and burnout, the last stage of stress and a three-way shutdown of mind, body, and emotions. Stress is nothing to mess around with. It’s a factor in five out of the six leading causes of death and some estimates have it as an element in more than 75% of doctor visits. Stress is a killer. At one workshop I led for a large consulting firm, I learned that one of their top consultants, in his forties, had a heart attack on a bathroom floor while on assignment. He was known as someone who would go to the wall on every job. At a federal agency, managers told me about hospitalizations and nervous breakdowns because of stress. One entrepreneur I spoke with had a heart attack at the age of 29 from out-of-control stress. Of course, all this has a massive impact on productivity, health costs, errors, and absenteeism for organizations. Stress costs U. S. companies $407 billion a year in health bills, absenteeism, lost productivity, and recruiting and training, according to U. C. Irvine stress researcher Peter Schnall. The havoc doesn’t have to happen. We can manage stress with one simple new habit: regular stress testing. We do eye checkups, mammograms, blood panels, but we are never taught to identify and manage stress. We need to measure stress levels on a regular basis, say experts like Schnall, or we wind up at the mercy of a runaway medical train. How do you know if you are in the danger zone? There are a number of tests you can do to monitor your stress levels, from saliva to blood and treadmill tests. If you are under a lot of strain, and even if you think you are managing the pressure, you need to make the time to take a stress test. Tom Row, a Tennessee scientist I spoke with, didn’t even know he was stressed when he had a heart attack at his office and was carried out on a stretcher. He’d been doing 12-hour workdays for years. Let’s take a look at some of the main types of stress tests, beginning with cortisol testing. Stress sets off a flood of hormones from your adrenal glands, including adrenaline and cortisol, also known as the stress hormone, to help your body prepare for action to confront danger. Elevated cortisol levels from stress, though, cause a host of problems, from high blood pressure to heart disease, and can increase the risk of depression. Interestingly, researchers have found that cortisol levels drop in people who have burnout—another reason to do the test. Burnout depletes your adrenal glands of the hormones and energetic resources you need to function. Chronic fatigue and Addison’s disease are marked by low cortisol levels. So cortisol testing can determine both if you have abnormally high levels of the hormone or very low. Saliva Test. This may be the simplest stress test, one which checks cortisol levels at various times throughout the day. The process involves leaving your saliva in a test tube-like device and sending it off to a lab for analysis. You can buy saliva test kits over the counter and online. Most experts, though, feel that the saliva test is less accurate than a blood serum test. Cortisol Blood Test. We all know the drill here. Needle time. Have your doctor draw blood and submit it to a cortisol analysis. The test will determine whether you have abnormal cortisol levels, high or low. Certain medications can interfere with test results, such as steroid drugs, estrogen, androgens, and anti-seizure drugs. According to the National Institute of Health, the normal values for a test at 8 a.m. are 6 to 23 micrograms per deciliter (mcg/dL). Cortisol Urine Test. You can also measure your cortisol levels with a standard urine test. The National Institute of Health reports that the normal range is 10 to 100 micrograms per 24 hours (mcg/24h). Cognitive Stress Test. This non-invasive approach can be very helpful in identifying stress and various physical byproducts of strain and high demands. The questionnaire can be used in conjunction with other tests, such as a blood test or blood pressure test to map out the larger picture of demands outstripping coping ability and the effects that is having on your body and thinking. Blood Pressure Test. Keeping an eye on blood pressure is an important tool to track the effect of stress on your cardiovascular system. U. C. Irvine’s Schnall says that it’s crucial you get your blood pressure measured, not just at the doctor’s office, but also at work. The true state of elevated blood pressure may not appear in the calm of the doctor’s room. He strongly recommends that you test BP at work to measure how your body is faring in the heat of the workday. According to the American Heart Assoc., Stage 1 Hypertension begins at a systolic number (the top number on your BP reading) of 140-159 or a diastolic number (the lower figure) of 90-99. Hypertension Stage 2 is a systolic of 160 or higher and a diastolic of 100 or higher, while a Hypertension Crisis is higher than 180 for systolic and 110 for diastolic. Electrocardiogram Test (EKG). This test can find underlying issues of heart disease and hypertension. Electrodes measure electrical signals in the heart that can find patterns of rhythms and heartbeats that may be a tipoff to problems. The devices have gotten very streamlined and much easier to use, and can spit out results on the spot, so you can get a very quick analysis of your heart health. Exercise Stress Test. An EKG, though, may not always be enough. Brian Curin, co-founder of the Flip Flop Shops, can thank the exercise stress test for saving his life. An EKG didn’t catch the massive jam in his arteries. Sometimes known as a treadmill test, the exercise test measures the way your heart responds to physical effort, and the extra demands can ferret out issues other tests can’t. This test pinpointed an array of problems so serious that Curin was advised to go directly into surgery, where he had to have a quadruple bypass at the age of 39. Do yourself a favor, and take the time for your health and get this test done. Beyond monitoring and testing, if your office or department has a stress problem, don't ignore it. Fix it. Reach out and contact us, and we can show you how a stress management program can give your team tools to control demands, instead of the other way around. Stress is optional. Click the button below for more details on our stress management programs. Humans are energy machines. 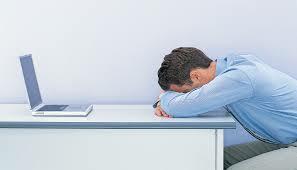 We expend energy over the course of the workday and work year in our body and brains (which use up 20% of the body’s calories), and then we have to replace it, or fatigue sets in, stress and exhaustion build, and productivity plummets. It’s a basic law of effort: Quality output requires quality input. It’s called work recovery in the scientific journals, and one of the best ways to get it is through the recuperative benefits of a vacation. The annual vacation, which used to be a rite of summer for families in the 1960s and 1970s, has been shrinking ever since, with nearly two-thirds of Americans telling a Harris poll that they won’t be taking a vacation longer than a week. Numerous surveys show Americans giving back vacation days, 169 million days a year, according to a study conducted by Oxford Economics for the U.S. Travel Association. There are many reasons for these trends—lean staffing, fear of layoffs, technology addiction, crisis mentality from an epidemic of false urgency and frenzy, and certainly ignorance about how our biology works, or doesn’t, when it can’t get the recovery it needs, from the cellular level to the blood glucose that gets spent in the course of staying disciplined and focused on the job. But executives shouldn’t cheer the extra days people spend on the job, since exhaustion doesn’t lead to effective work. Without recovery, employees fall prey to chronic stress, absenteeism, and burnout, the central feature of which is exhaustion. Exhaustion is the opposite of what every manager wants: employee engagement. When employees are engaged, they are 28% more productive, according to Gallup data. Engaged employees willingly put out extra “discretionary effort.” They are so committed to the work they do, they go the extra mile. Studies have shown that the key dimensions of engagement are involvement, efficacy, and energy. Engagement takes physical and mental energy, participation. That can’t happen when someone is exhausted and burned out. The antithesis of engagement, say researchers, is burnout. 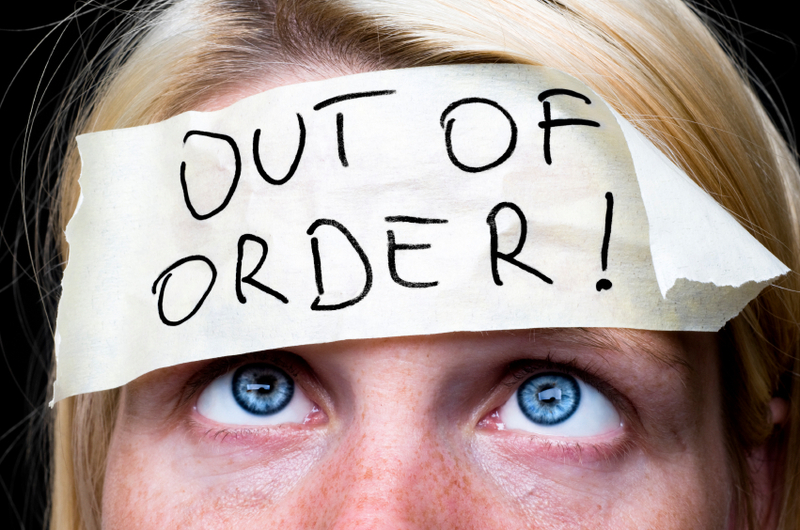 Instead of energy, the key burnout dimension is exhaustion. Instead of involvement, you get cynicism, which is described as an active disengagement from others. You get depersonalized, demotivated. Not a recipe for interacting with colleagues and customers. And, of course, there's no efficacy when someone is weary and cynical. Instead, you have the opposite: ineffectualness. Gallup found that only 29% of American workers are engaged. That means business leaves more than $300 billion on the table in lost discretionary effort. Add to that more than $400 billion that American business loses every year due to stress-related costs, according to U. C. Irvine stress researcher, Peter Schnall, and you begin to see that having a recovery strategy like vacations—and making sure your employees take them—is critical. The concept of the vacation was invented by companies back in the early part of the twentieth century as a productivity tool. They conducted fatigue studies and found that employees performed better after a respite. The same is true today. 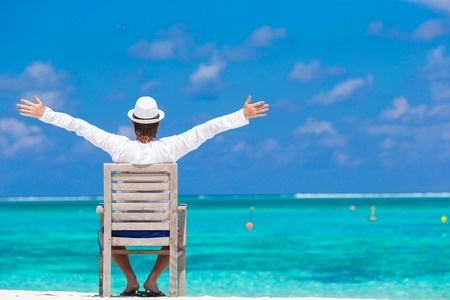 In one study by Alertness Solutions, reaction times went up 40% after a vacation. Work demands build up strain and that causes a loss of energetic resources. That in turn, research by Stevan Hobfoll and Arie Shirom (“Conservation of Resources”) shows, increases stress. Time off helps build lost resources back up again. Hobfoll and Shirom called it “regathering.” They found that it takes two weeks of vacation to get the rucperative benefits to regather crashed emotional resources such as a sense of social support and mastery that go down when we’re burned out. Vacations shut off the stressors and pressures of work. With the danger signal turned off, the stress response stops, and the body's parasympathetic system can get to work on reparative and maintenance functions. Through the process energy-drained cells get new sustenance. Vacations build positive mood, which crowds out negative experiences/thoughts and “undoes” the physical and mental effects of stress, as Barbara Fredrickson of the University of North Carolina has documented. Since 40% of job turnover is due to stress, consider the vacation then, a proven stress buster, as an insurance policy against losing top talent and the high costs associated with replacing an employee. Some studies show that it can cost up to two times an annual salary to replace a valued salaried employee. Charlotte Fritz and Sabine Sonnentag (2006) found that “health complaints and exhaustion significantly decreased during vacation,” and that there was a performance increase when employees got back to the job. Employees reported less effort needed to do their work. Some companies are starting to put two and two together and are emphasizing vacations as a key component of productivity and workplace cultures that walk the talk on work-life balance. Highly successful inbound marketing firm Hubspot, based in Cambridge, Massachusetts, offers unlimited vacations to its employees and mandates they take at least two weeks of it. Another major company, Evernote, also has an unlimited vacation policy. To make sure people take time off, Evernote pays employees $1000 to take at least a week of vacation. Go Daddy offers three weeks of vacation the first year on the job. Many of the companies leading the charge to a new understanding about the role of recovery/vacations in productivity and work-life balance policies are technology companies. They are embracing a belief that in the knowledge economy, it’s not how maxed-out your gray matter is that leads to productive results, it’s how fresh your brain is. A focused, energized brain gets the most work done the fastest. Policies that keep minds in the red zone of chronic stress and see endurance as a measure of commitment undermine productivity and fly in the face of all the data. There is a word on the other side of the hyphen of “work-life” balance. The life side is essential to resupply the resources needed to get the work done well—and, is, after all, the point of all the work, isn’t it? Crying wolf is a behavior frowned upon by society at large, but celebrated in the workplace. Did you get that email I sent two minutes ago? We need that report by noon! Or what, apocalypse now? How about that person who sends every email with a giant red exclamation point on it. New cat video! Granted there are deadlines and competitors to reckon with and work that must be done in a swift way, but that doesn’t mean everything is an emergency every minute of the day, as has become the norm in most organizations caught up in the Crazy-Busy Model of performance. Time panic has become the order of the day, setting off a vicious cycle of clenched necks, churning stomachs, absenteeism, and dismal productivity. Harvard management professor Leslie Perlow found in a study she did while at the University of Michigan that nonstop rushing sets off a state of “crisis mentality,” that in turn triggers “individual heroics,” which cause people to believe they can interrupt anyone at any time, which drives more time panic as the interruptions make people fall behind in their work. Technology has played a large role in amping up the hyperventilation, creating an illusion that the speed with which communications travel can be duplicated by the humans on the other end of them. Devices and the interruptions they rain down on us have also undermined attention spans, and with that the ability to regulate impulse control. Without self-regulation, we have no ability to resist interrupting others or practice patience, which requires self-discipline. We want what we want NOW! Perlow found that crisis mentality had a huge impact on performance and engagement at a technology company she studied, reducing both. The engineers tasked with designing new products were so inundated with interruptions, they would have to work nights and weekends to get anything done. It took longer to finish tasks. The obsession with speed above all else caused people to focus on individual needs over group goals and sapped any commitment the employees may have had for the company. It was all-emergency, all the time—even though the emergency was false. Everything became life-and-death, which is a perfect description of the stress response that crisis mentality sets off. It's a false emergency, unless you are literally about to die. You’re not going to expire from a deadline or 300 emails, but time panic can convince your ancient brain otherwise. When everything is an emergency, nothing is. The frenzy at this company was toxic to deadlines and quality work. One of the insidious things about interruptions is that they make you believe the work you’re doing is more difficult than it actually is. Studies show that interruptions can increase annoyance and aggravation more than 100%. That makes it easier for irritation to click over into anger, increasing the stress load further. In her study, “Finding Time, Stopping the Frenzy,” Perlow argued that blind rushing is counterproductive and countered it with an intervention at the company that cut crisis mentality and dramatically boosted performance. Her solution, Quiet Time, mandated two periods during the day free of all interruptions and contacting. From 8 a.m. to 11 a.m. in the morning, the engineers couldn’t be interrupted. Normal contact and messaging resumed from 11 a.m. to 3 p.m. Then it was back to an interruption-free zone from 3 p.m. to 5 p.m. Performance increased 59% in the morning no-interruption zone and 65% in the 3 p.m. to 5 p.m. focus slot. With minds more focused, productivity even shot up 42% in the period with normal interruptions. The engineers created a new product on time without needing to work every night and weekend for months on end. Crisis mentality undermines intellect, since stress constricts thinking to the perceived emergency of the moment. That means poor decisions, snap decisions, emotional decisions, and an inability to see beyond the latest crisis—no planning, in other words. It means colleagues at each others’ throats. And it means lots and lots of exclamation points on the emails in your in-box. We can do better by learning how to qualify urgency, setting boundaries on messaging, respecting others and being judicious about interruptions, getting clarity on what a true emergency is, resisting the hurry-worry of others, and practicing the hidden weapon of excellence: patience. If your company would like to lose Crazy-Busy Overwhelm and work less harried and more effectively, click here for more on our productivity trainings and a smarter way to work. IT JUST MAY BE the crime of the century. Our minds, thoughts and chief productivity tool--attention--are being stolen by a thief operating with absolute impunity: incessant, unbounded interruptions. An ever-growing volume of intruders--e-mail, texts, apps, phone calls, social media alerts--combined with assaults from increasingly time-panicked humans, are leaving few places safe for chirp-, chime- or ding-free concentration. Information overload, which includes the recovery time from unnecessary interruptions, cost the U.S. economy $997 billion in 2010, according to Overload! : How Too Much Information is Hazardous to your Organization by Jonathan B. Spira. An Intel study found that lost productivity from information overload alone would cost $1 billion per year for a company its size. Chronic intrusions shrink attention spans, drive stress by burning up mental and emotional resources and trigger mistakes. An interruption averaging 2.8 seconds--say, one of those blinking notifications in the corner of your computer screen--can double the risk of error, a study by researchers at Michigan State University and the U.S. Naval Research Laboratory found. Increase the duration of the interruption to 4.4 seconds, and you triple the chance of a mistake. Interruptions play havoc with working memory, fuel overwhelm, and undermine intellect. A study that measured the effects of forced interruptions on resident surgeons performing a simulated laparoscopic cholecystectomy (gallbladder removal) found that surgical mistakes occurred 44 percent of the time with the distractions, and only about 6 percent without. Interruptive questions triggered the most errors, followed by sidebar conversations. There's a reason airline pilots have mandatory no-interruption zones just before takeoff and landing: Federal regulations prohibit any activity--from nonessential conversations with crew or others in the cockpit to reading nonessential publications--that could distract a pilot during critical phases of the flight. So, what are the main sources of intrusion, how do they affect us, and what can be done to curb them? The average businessperson receives and sends about 109 e-mails per day, and that rate is growing each year by 7 percent, according to studies by technology market research firm The Radicati Group. Instant messages are increasing 11 percent, and texting, once confined to the nonwork realm, is bombarding offices, with 67 percent of professionals saying they text for business, according to messaging service HeyWire Business. How interruptive is this? Mobile Marketing Association reports that 90 percent of all texts are read within three minutes. "It's a huge problem," says Dr. Edward Hallowell, a Massachusetts psychiatrist and co-author of Driven to Distraction, which chronicles the siege on attention. "It's the newest addiction. There are in-patient centers now for people with technology addiction. Marriages break up." "There's a thrill to it," adds Winifred Gallagher, author of Rapt: Attention and the Focused Life. "Your texts and e-mails are like video games. There's a stimulus and rewards." The surge of texts and social media notifications in recent years may be leading to a tipping point of terminal distraction and always-on availability. Michael Salem, co-founder and CEO of Vorex, a Plano, Texas-based provider of cloud-based professional services automation software, says he gets 1,000 messages per day. "I'm overwhelmed," he admits. "Responding is a daily thing, 24 hours a day." For a while, he says, he barely slept, taking calls from global users of his product from his bed. His health started to suffer; he gained weight and became anxious from the never-ending assault. "I counted recently," says Matthew Bellows, CEO of Boston-based Yesware, an e-mail productivity service for salespeople. "I have 22 inboxes, from e-mail to LinkedIn. The idea that I'm supposed to monitor and troll through these is absurd. I get hundreds of e-mails a day. Interruptions and distractions are the biggest drain on productivity for the modern office worker." The volume of intrusions today is unsustainable by any metric: productivity, engagement, physiology or common sense. So what can we do about it? The first step is to understand the impact of constant interruptions on our brain neurons. Out of all the things your brain could focus on right now, your attention at this moment is on this sentence. This is because you are implementing what's known as top-down attention, in which you choose what to take note of. You set the terms of engagement, giving you control and concentration--that is, if you can block out the distractions of the other kind of attention: bottom-up, which is dictated by something or someone else. Bottom-up attention is part of our survival equipment. When you hear a siren or a car backfire, your attention instantly shifts to the potential threat. The cavalcade of electronic noisemakers--e-mails, texts, IMs, phone calls, notifications--are all bottom-up intruders. They arouse defenses and hijack concentration. It's a battle that's daunting but winnable. "You are the boss of what's in your head," Gallagher points out. "Attention is a tool, and you can take charge of it. It's a matter of knowing when you want to use your top-down attention, and then you have to suppress the bottom-up stimuli. Otherwise, you become a victim of stimuli." Interruptions trigger detours that tax working memory and increase the time it takes to accomplish tasks, all of which drives stress. When an intrusion occurs, "it sets off a chain of random events, with people switching activities," explains Gloria Mark, professor of informatics at the University of California, Irvine, and co-author of a study on the subject. On average, she says, "you work on two intervening tasks before you get back to the original task." For example, you might be at work on a marketing project one minute, then shift to an e-mail from a customer, then off on a trip to LinkedIn. Mark followed 35 managers, engineers and project leaders for three days. She found that the average time people spent on a single task before being interrupted or switching to something else was a whopping three minutes. The amount of time they worked on a device before switching was two minutes, 11 seconds. The interruption blitz is held in place by fallacies that the human brain is an inexhaustible well that can be crammed with an unlimited amount of information, perform multiple functions simultaneously and switch tasks without decrease in output. The shocking truth is that our gray matter has limits, from working memory to data volume to neural channels that permit us to perform only one high-cognitive task at a time. Interruptions undermine effortful control, which reflects the ability to regulate impulse control. The more interruptions one has, the more they erode the self-regulation equipment. Feel like you have to check your e-mail even though you just checked it five minutes ago? That's your impulse control and attention span on the blink. Interruptions shred the ability to self-regulate everything from checking e-mail to consuming Häagen-Dazs or Jack Daniel's. This is why technology is so addictive. It can destroy the ability to control impulsivity, which means more frequent message checking and web browsing and shorter attention spans. That, in turn, leads to more distractibility and less ability to see tasks through to completion--exactly the sort of symptoms psychiatrist Hallowell began to see in the '90s in patients who thought they had attention-deficit disorder. But people with true ADD are born with the condition. So Hallowell's patients' fractured attention was a byproduct of something else--an affliction that mimics ADD, set off by interruption and information overload "filling our heads with a cacophony of mental noise" until the brain "loses its ability to attend fully and thoughtfully to anything," Hallowell notes in Driven to Distraction. He dubbed the condition "attention deficit trait." Once high-producers, people with this condition flit from one thing to the next and find themselves falling behind in their work, which in turn increases time panic and anxiety as they try to catch up. Thus the constant disruptions feed a fear of being overwhelmed and not being able to cope, a signal to the ancient brain to set off the stress response. "I can feel my heart racing," says Karen Swim, who launched her Sterling Heights, Mich.-based public relations firm, Words For Hire, 10 years ago. She used to be able to manage the electronic flood, but she says the increase in texting over the last couple of years has pushed her coping resources over the edge. "There are days when I feel I have to stop and breathe. It feels like you're on a treadmill that keeps speeding up, and you can't keep up." Everyone knows the volume of intrusions is counterproductive, but attempting to moderate the flow strikes fear in the hearts of business owners and managers. It shouldn't. More entrepreneurs would crack down on interruptions if they knew how much it was costing them, says Dan Adams, CEO of Woburn, Mass.-based New England Network Solutions, which provides computer services to small and midsize companies. "Business owners don't know how much time is being lost to these distractions," says Adams, who installs firewalls to track and monitor internet and social media use. As relentless as the siege is, entrepreneurs and employees don't have to throw up their hands. There is a range of tools available to control the onslaught, improve productivity, and along the way build in stress management controls. Strategies range from curbing e-mails to limiting personal pop-ins from colleagues. U.S. Cellular, Intel and professional-services giant Deloitte are among large firms that have attempted no-e-mail days--not mandating a complete shutdown of electronic messages, but encouraging in-person or voice communication, especially among co-workers--which may cut down on unnecessary distractions. "Without uninterrupted time you can't listen to someone, write good code or think," says Yesware's Bellows, who once spent a year at a Buddhist retreat meditating for hours a day. "Those tasks take concentration and focus that is quickly taken away by devices." Bellows is trying to stem the tide of interruptions. Instead of interrupting one another with questions, Yesware employees send messages via a HipChat.com intranet page that colleagues can review on their own time, when they have a break in the action. Bellows blocks out uninterrupted time on his calendar to think, urges everyone to close laptops and not check messages during meetings and reads and responds to his e-mail in designated chunks a few times a day. The latter strategy in particular can dramatically reduce interruptions. If your e-mail automatically checks and feeds you messages every five minutes, that's a potential of 96 interruptions over an eight-hour day. However, if you manually check it every 45 minutes, that cuts the total to 11. Researchers at Oklahoma State University say the most productive checking schedule is four times per day. UC Irvine's Mark recommends that you plow through as much e-mail as you can in three scheduled periods per day; the rest of the time, it should be turned off. Other interventions aim to block off no-interruption zones. Leslie A. Perlow, Konosuke Matsushita professor of leadership at Harvard Business School, developed the "quiet time" program, which walls off all intrusions during certain times of the day. She deployed the method at a software company whose engineers were having trouble creating products without working nights and weekends. After a period of investigation, Perlow discovered that the engineers were being interrupted so often they didn't have time to think and couldn't get enough done during regular hours. With everyone falling behind schedule, a crisis mentality developed, in which people felt entitled to interrupt anyone at any time. Perlow's solution was to set aside a certain portion of the day, before 11 a.m. and after 3 p.m., for uninterrupted work. (Normal interruptions could take place during that four-hour window.) The results: 59 percent of engineers reported that their productivity increased in the morning interruption-free zone, and 65 percent said the same for the afternoon. With heads cleared, 41 percent even reported that their productivity jumped during the interruption portion of the day. Harman Singh likes the idea of quiet time. The founder and CEO of WizIQ--who gets upward of 200 messages each day--says he's been thinking about the need for rules to control the flood at his online education company. "It's gotten crazy," he says. "I don't get enough time to think. It's a menace." His most frustrating distraction: mobile messaging via WhatsApp. He has considered getting off the app but is concerned about how investors who contact him that way might react. As with most thoughts of managing interruptions, there is fear. Would they respect boundaries? But Singh believes that ultimately his investors would rather have him engaged in productive thought and running his company than buried in social media and needless communication. If you would like to learn how to implement these and many other tools to create a more productive office click on the button below for more information. It takes a lot to get a human ready for the world. A dozen years, plus kindergarten, followed by all-night cram sessions in college—and maybe more, using every available minute and dime to get through graduate school. And after it all we know…next to nothing about how our minds work and how to manage a daily gauntlet for anyone this side of Zen master status: stress. We learn the skills of our profession but not how to distinguish real threats from false ones, how to contest irrational thoughts set off by stress, or how to turn off the ceaseless alarms that jack up anxiety and blood pressure needlessly. What’s worse, almost none of the people we work with have received training to manage their false alarms, either. Add to that the growing demands of an always-on work style, and you’ve got a perfect storm of crisis mentality, conflict, and hair-trigger emotions, which undermine intellect and performance and make a crazy-busy world even crazier. With the cost of stress to American business more than $400 billion a year, according to Peter Schnall at U. C. Irvine, and stress responsible for 40% of employee turnover, organizations that make stress management a key part of their development programs stand to gain a big edge on the competition, instead of being on the edge of frenzy and frazzle. One study, by Nextera Enterprises, found that industries with high turnover, as high-stress organizations are, have 38% lower earnings. Firms with turnover rates less than 3% are 170% more productive than firms with turnover more than 20% (Jusko, Industry Week, 2000). Stress diverts minds from the task at hand to obsess over perceived emergencies that our ancient brains misinterpret as threats to life and limb. As educated as we may be, the mind reverts to caveman/woman days whenever a threat overloads ability to cope with it. It’s like it’s 50,000 B.C. all over again, with the equivalent state of intelligence. The reality is that we have some bad brain architecture. Our gray matter wasn’t built for the social stressors of the modern world. Two hundred emails or a stack of to-do’s aren’t life-or-death, but brains not trained to recognize this automatically default to fight-or-flight mode and the fear that comes with it of not being able to cope. The stress response is activated, releasing a flood of chemicals, from adrenaline to cortisone, that cloud judgment, trigger rash decision-making, and unleash a tide of medical bills and absenteeism, since stress suppresses the immune system. It’s a cycle that saps vitality, motivation, and commitment, and fuels fear and paranoia, yet it doesn’t have to be that way. Yes, there’s always going to be pressure and demands, but with tools to manage stressful situations, we can keep the panic buttons and overwhelm at bay. Stress management training delivers the knowledge we never got in all those years of schooling to manage the mind and prevent it from being hijacked by an ancient interloper. Development programs to manage stress are an extremely effective performance strategy, taking minds off threats and conflict and focusing them on the task at hand. Stress management programs should be a go-to option for any organization in these turbulent times—and would be more often if management knew how unmanaged stress and burnout shred productivity and talent. The survival default of the stress response thrives on action before thought, on instant, emotional reaction, so one of the things that a training program has to do is counter the reflex autopilot that plays right into the hands of stress and burnout, which are a byproduct of reacting before we think. Our stress management programs provide the missing tools to contest stress reactions and their apparent signs of imminent danger. Your team learns how to reframe stressful events and control their stories, instead of having the scripts driven by a panic-prone hysteric some 50 millennia behind the times. They learn how to dig out the false story, substitute the real one, and turn off the danger signal driving anxiety. When that happens, the stress response shuts down in four minutes. Besides a grounding in how the brain works, and doesn’t sometimes, workshop participants also get training in a number of proven stress-reduction processes and techniques to break up the pattern of strain, anxious thinking, and awfulizing. There are a number of techniques, from progressive relaxation to the relaxation response, that have been shown to cut stress and untense the mind and body. Changing how we do our jobs is another key component of reducing stress. The more control we have over how we do our work—managing email, interruptions, time, and other bottlenecks—the less stress. The more attention we have on the task we’re doing, the less stress. Building attention and self-regulation reduce stress by cutting the sense of overwhelm and increasing what’s known as latitude—demands are high, but there is also some control over the work environment. So increased attention and performance are key benefits that comes from stress management training. The training helps participants build coping skills to turn down behaviors that cause pressure and conflict. Afterwards, people are less time urgent, rash, and cynical. They understand the important role optimism plays in resilience and effective performance. Teams can bolster resilience with positive emotions, regular refueling, and mastery experiences—which buffer the setbacks and slings and arrows. As Barbara Frederickson of the University of North Carolina has demonstrated, positive emotions broaden and build psychological resources, while negative emotions shrink them. Teams that are more other-focused, more apt to frame things in a positive way, and ask more questions, have been shown to be more successful, have better rapport with coworkers, and sell more than their uptight counterparts. If you would like to learn more about how a stress management training could help your team or organization with practical skills they can use every day, click the button below, and we’ll send you more details as well as a price quote for the program. There are proven tools to beat stress and work smarter. Let us show you how cost-effective they are. It’s a feeling that cuts across many organizations today. I heard a lot of similar stories from executives at the Supply Chain Leaders in Action conference in Scottsdale, Arizona, where I gave a workshop on how to deal with the central fact of work-life these days: Crazy-Busy Work. The executives I spoke to, from Safeway to Starbucks, were drowning in email, interruptions, and trying to do multiple things simultaneously. Crazy-Busy Work isn’t just a problem for individuals, it’s a major productivity issue for organizations, since it drives disengagement, burnout, shrinking attention spans, poor decision-making, and creates a style of work based on autopilot reflex, action before thought. When we operate in defensive mode, reacting to the incoming, instead of managing the practices that drive overload, it takes longer to get the work done and we make a lot of mistakes. The truth is, the way we work isn’t based on what the science says, or anything at all. Most of us are simply reacting to people and devices all day. The number one productivity goal of every organization should be to use the data on what works to help teams dig out from under the siege of devices, interruptions and information overload. It may seem hopeless, but it’s not. A series of adjustments to work style and how we manage demands, from devices to multitasking and stress, can turn it around, so that we are less crazed and more productive. As the mariners say, we can’t control the wind, but we can adjust the sails. 1. 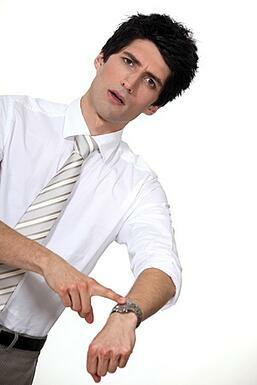 Control Time Urgency. The unconscious habit of rushing is the “Crazy” in Crazy-Busy. It drives frenzy and false emergency, making your team think every minute of the day is an emergency. It has been shown by researchers to be a heart attack and burnout risk even for people in their thirties. Speed isn't the key factor; velocity is, conscious movement in the right direction. Nonstop motion makes everything appear urgent when we haven’t taken the time to think about what is urgent and what isn’t. It’s a speed trap easy to get caught up in, since time panic and the stress it sets off is very contagious. 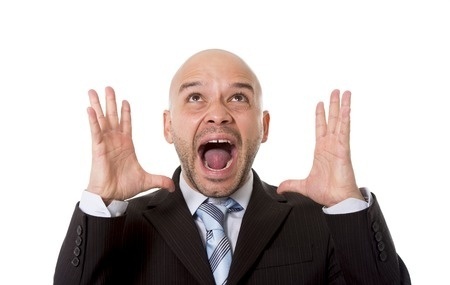 We are hardwired to pick up on the emotions, facial expressions, and tone of voice of others. It’s part of our social bonding equipment, but it’s destructive in this case. We have to opt out of the frenzy, and ask when we’re rushing, is it an emergency or is it a speed trap? 2. Set the Terms of Engagement with Devices. An unbounded approach to devices, allowing messages to avalanche in at any time, is not sustainable. Every email results in six emails, three going, three coming back. The average corporate user today gets 133 emails and 77 Instant Messages per day. The solution lies in adjusting how we respond to email. Instead of allowing devices to set the terms of engagement, we have to do it, by checking email at designated times and keeping mail software and noisemakers turned off unless they're in use, and by doing what some leading companies are—mandating less email and more phone messaging. An email etiquette handbook or norm guide is a great way to make sure that humans are setting the terms of engagement. 3. Increase Attention. The chief productivity tool, attention, is under siege these days from interruptions, devices, and multitasking, which researcher David Meyer at the University of Michigan says slows you down. The result is shrinking attention spans that can’t find the space to concentrate. That means it takes longer to get the job done, and there’s more sense of overwhelm as the devices and their “bottom-up” attention make our days feel out of control. The more you check email, the more you have to check it. Impulse control is eroded by interruptions and the increased stress they trigger (up to 105% more annoyance, a study by Bailey and Konston showed). Strategies to build attention and manage interruptions are essential to keep fractured brains focused on task. 4. Set Boundaries. Technology has blurred perimeters and boundaries and created the illusion that we can do it all because we have our digital friends at our side. The reality is that this is an illusion. Brains go down well before the body does, brain scientists tell me, and take the work down with them. We are not hard drives with hair, and when we try to be, productivity and health suffers. Harvard researchers Nash and Stevenson say that boundaries are a success tool, something we can all get better at. What boundaries does your team need, and how can they make them more effective? Our productivity program gives you a batch of tools to choose from. 5. Refuel Energy. Contrary to what most of us would like to believe, humans need to be refueled on a regular basis. In fact, the source of productivity in the knowledge economy is who has the freshest brain. When we pay attention to the brain’s natural 90-minute alertness cycle, the need for cells to refuel after activation through oxygen and glucose, and the power of energy-creating breaks during the day, productivity soars. Your organization can put an end to the siege of Crazy-Busy Work by reining in devices, interruptions, multitasking, and information overload. The research shows that productivity is not a function of how fast you can go or how many things you're doing at one time. It’s about informed performance, thinking before we act, and managing demands, instead of being managed by them. If you would like more details and pricing information on our time management and productivity program, "Managing Crazy-Busy Work," click the button below.